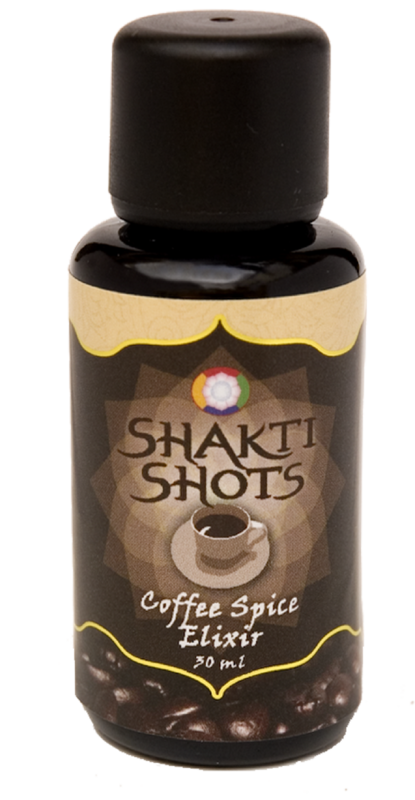 Where Coffee plus Shakti Shots™ is the really healthy way to enjoy it. In order to comply with the European Union (EU) Directive on Distance Selling, you must agree to our T&Cs before your order can be processed. By submitting your order, you are acknowledging that you have read and agreed to our T&Cs. They govern any contract for sale that we jointly enter into and tell you the rights and obligations you have. As a consumer you may have other statutory rights granted by law which are not affected by these T&Cs. Our T&Cs are modelled on those recommended by the fair web trade organisation Safebuy. By placing your order you are offering to buy the goods and permitting us to use your personal details for the purposes of supplying goods (including passing your details onto couriers and other subcontractors). We will not use your details for purposes other than those stated in our Privacy statement without asking your consent. You may request that your details are removed from our system by emailing or writing to us. We are not obliged to supply the goods to you until we have confirmed acceptance of your order and this is when the contract is made. Your payment will be taken prior to sending the goods ordered - usually within 24 to 48 hours of the goods being ordered. You do not own the goods until we have received payment in full. All prices and offers are subject to change and availability. Errors and omissions excepted (for example if we accidentally sell at below our cost price). You will be invoiced in pounds sterling £ or dollars, depending on the territory and payment portal you choose. You will receive confirmation of your order by email. Please check that the details contained in this email are correct. If there are any mistakes, please let us know immediately. Your confirmation email is neither an invoice nor a formal acceptance of your order. Invoices are sent by post to your address or sent with the goods. If we are unable to fulfil part or all of your order (due to having sold out for example), or if there is an error in your order, we will advise you as soon as possible. If payment has been made on an order that we are unable to fulfil we will immediately refund you by the same method you paid us. The prices shown on the product pages do not include UK VAT (at present we are not registered for VAT). When we register we shall amend these terms and so keep this page bookmarked for such changes. Any duties liable on goods arriving in any country other than the despatch country - UK or USA depending - are the responsibility of the purchaser in their entirety. Please inform us as soon as possible if your order has not been delivered. Delivery times quoted are for guidance only and are not guaranteed (unless specifically described as such). In the UK, parcels sent via postal systems usually take 2-5 working days from the date of despatch to arrive. Please inform us within 21 days of placing your order if the goods have not been delivered. Although we may still be able to trace your items after this time we will not consider claims for lost items after this period. Parcels sent via Royal Mail usually take 2-5 working days from the date of despatch to arrive. If your package has not turned up after this time, and you have not received a card, it is often worth checking with your local mail delivery office in case they are holding it for you (for example if it does not fit through your letterbox). We are obliged to wait 15 working days (3 weeks) from the date of despatch for orders to the UK and Europe before the postal service will acknowledge a missing item as lost. For all other destination this extends to 20 working days (4 weeks). If your parcel does get lost in the post, we will reship or refund after this time period. We cannot be responsible for lost parcels if you enter an incorrect delivery address on your order. Please check your order carefully before you submit it. If you do spot an error let us know as soon as possible so that we can rectify it, if possible. You have the right to cancel the contract and receive a refund to the value of the goods (not including delivery), provided that the goods are returned undamaged and complete, together with the relevant packaging in an unused condition. You must inform us in writing of your desire to cancel within 14 working days starting from the day after the goods are delivered to you. You must return the goods to us at your cost and we advise you to insure the goods adequately. If returned products are lost we will not be liable for them. If you have not returned the goods within 14 days of cancellation, or if you request it, we can collect the goods from you at your cost. Note: If you request us to arrange for a courier collection we are unable to specify the collection time (although it is usually in the afternoon) and someone needs to be present when the courier comes. If we arrange a courier collection for an agreed time and you are not there we reserve the right to pass on the costs incurred to you. If you wish to cancel, please email us or write to us at Shakti Shots, 11 Fairfield Gardens, GlastonburyBA6 9NH, UK. We will refund the total amount of money paid by you for the goods, less any delivery and collection costs, within 30 days from the day on which we receive your notice of cancellation in writing (but usually much quicker than that). Refunds for returned goods will be made via the same method of payment as used to place the order. Make sure you include these details with your return: Your name, daytime telephone number, order number, and the reason for the return. If you are exchanging goods, we will usually pay the postage for shipping a replacement item (check with us if you want to be certain). We reserve the right to cancel the contract between us if we have insufficient stock to deliver the goods you have ordered or if one or more of the goods you ordered was listed at an incorrect price due to an error. If we do cancel your contract we will notify you by e-mail and will re-credit your account as soon as possible. Wholesale/re-seller customers must contact us before returning goods. The Distance Selling Regulations do not apply to Business Customers. Goods cannot be returned after 30 days from delivery under any circumstances. If you are a business or if the goods are used wholly or in part for business purposes we will not be liable to you for any business loss including loss of profits (whether direct or indirect), business data, revenue, goodwill, or incidental, or consequential loss that you may suffer as a result of the purchase of goods from us. Any other liability will be limited to the price paid for the goods. We do not exclude our liability for fraud or for death or personal injury. For us performance time is not of the essence. If you have a credit account with us payment is due in the number of days specified in the invoice. If payment is not received within 30 days of the date of our invoice we may charge interest for late payment calculated daily at 4% above NatWest Bank base rate both before and after judgement.